Posted in Accidents by Mikhail Voytenko on Apr 23, 2017 at 06:49. 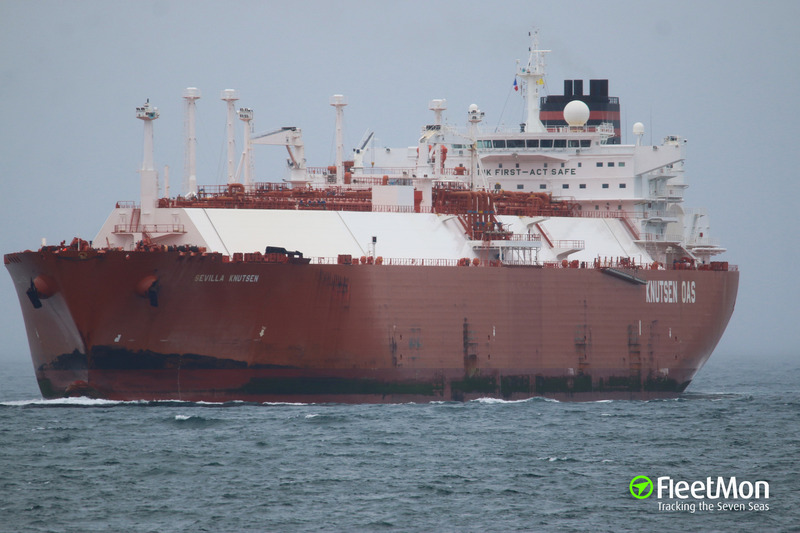 LNG tanker SEVILLA KNUTSEN struck reportedly uncharted reef south of Guam, Pacific, while en route from Japan to Australia. According to AIS, it happened early in the morning Apr 18. Tanker suffered serious damages, including bow and double hull breach, with ensuing water ingress. Situation was taken under control by the crew, tanker changed course and headed for Guam, but understood, was rejected shelter at Guam Navy Base. She headed for Philippines. In the evening Apr 22 she was 50 nm east of Gulf of Leyte, Philippines, proceeding at a reduced speed of some 10-12 knots. LNG tanker SEVILLA KNUTSEN, IMO 9414632, GT 110920, built 2010, flag Spain, manager Knutsen OAS Shipping AS.